Most companies start by estimating the impact of the investment on current and future free cash flows and compare the ‘with investment’ situation to a ‘without investment’ base case. The incremental cash flows associated with the investment (i.e. the free cash flows over and above the base case) are discounted by the company’s average weighted cost of capital (WACC) to produce a single figure that values the free cash flows in today’s money. 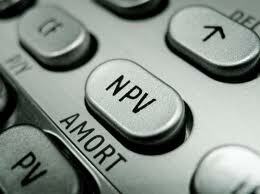 This is called the net present value (NPV) of the investment. If the NPV is positive, the project will yield a return greater than the company’s WACC and will therefore create value, whereas if the NPV is negative, the investment would yield less than WACC and thereby destroy value. As with any set of estimates, garbage in generates garbage out. Consequently, any robust investment appraisal will also assess the impact of changes in assumptions on the projected free cash flows and thus the NPV associated with the investment. This is called sensitivity analysis. In addition, a company will also calculate the internal rate of return (IRR) and payback period associated with the investment. The internal rate of return is the discount rate that would result in a zero NPV, and the higher the IRR, the more attractive the investment. Payback on an investment is the period of time (projected or actual) that it takes for the incremental discounted free cash flows associated with the investment to payback the initial capital investment. If the initial investment where £10m, and payback achieved in year 3, more than £10m of incremental cash would need to be generated from the investment in order to achieve payback. This is because cash today is worth more than the same amount of cash tomorrow and less than the same amount of cash yesterday. Most companies are often confronted with a choice of investment projects and only limited funds available. In such circumstances, the company has to choose between competing projects. Over and above conducting an investment appraisal on each individual project, a company can also compare the NPV of each project per £1m invested. The resulting measure is helpful for assessing which value creating investment (i.e. those with a NPV greater than zero, or an IRR greater than the WACC) is the most efficient. The amount of capital invested is also a measure of risk and thus a company may prefer a portfolio of several lower yielding, ‘less risky’ investment projects than one more attractive, ‘higher risk’ big roll of the dice. Efficiency investments are generally considered to be lower risk than growth investments. This is because there are more knowns with the former and consequently, future free cash flow projections should be more robust. Nevertheless, empirical studies show that growth investments have a much greater effect on creating value than efficiency investments. are usually charged to the profit and loss account rather than capitalised on the balance sheet. This is because most accountants consider these costs to be margin reducing expenses rather than investments per se. Nevertheless, irrespective of the accounting treatment, an investment is an investment and cash is cash. All investments of cash need rigorous appraisal, and not just those capitalised on the balance sheet. Please call Paul New on 020 8390 9972 or send a message. Compete to Win uniquely guarantees the quality of its work and that the added value will exceed its fees. Should the added value be questioned, the client is at liberty to pay what it believes the work to be worth. 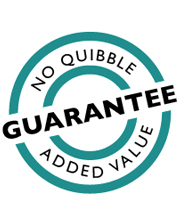 This no quibble added value guarantee is unique in the market for world class external assistance. Now in its 22nd year, Compete to Win is proud to say that no client has ever challenged its no quibble added value guarantee. To discuss your business critical issue, please call Paul New on 020 8390 9972 or send a message. If you are looking for something in particular, please use our Sitemap. Copyright © Compete to Win Limited. 72 Worthington Road, Surbiton, KT6 7RX, England. All registered trademarks acknowledged.